Girls love spending evening in cozy rooms with amazing atmosphere. 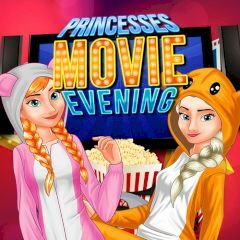 Elsa and Anna wanted to experience it again, so they decided to make a movie evening. Help them make some food, create perfect room conditions, select a movie and dress up in warm, cozy and funny outfits, that will make movie evening amazing and memorable.